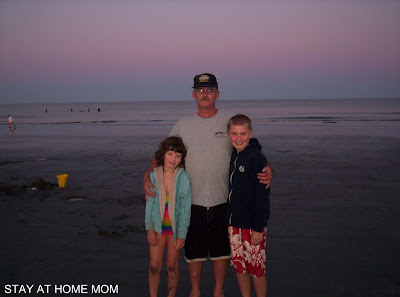 STAY AT HOME MOM: WW 24 - "York Beach at Sunset"
What a nice picture of your family! What a truly beautiful backdrop for the family. Here's my first entry to WW. Thanks! Oooh what a beautiful place! Beautiful photo! Such a great sunset! Great photo!!! Looks like a great place!